The start of work on a new historical resource centre for East Sussex and Brighton and Hove was celebrated this week at a ‘turf cutting’ ceremony. 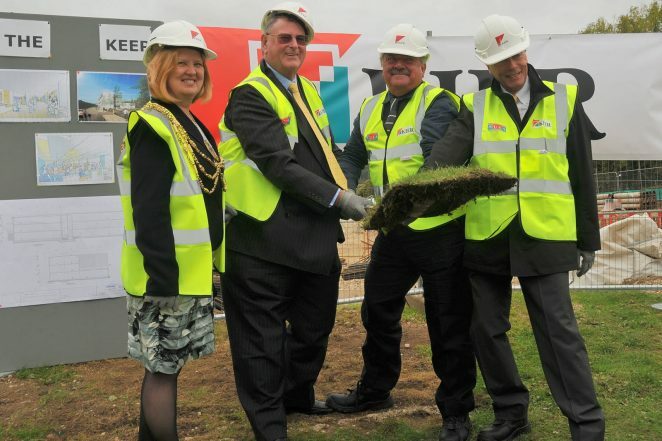 East Sussex County Council, Brighton & Hove City Council and the University of Sussex are working in partnership to provide The Keep, which is being built at Woollards Field, Moulsecoomb near Falmer at a cost of £19m. The new centre is due to open to the public in 2013. The current archive and record office at The Maltings in Lewes has been in operation since 1949 and the County Council accepts it is not fit for purpose. In 2006, the National Archives inspection made it clear that the County Council needed to address this issue and make progress towards a new record office within five years. Further information about The Keep can be found on the County Council’s website.